In ancient times this was also known as “Porta di Foro”, and took its name from the nearby tower (Dojon) which together constituted a fortification at the north east corner of the old city wall. 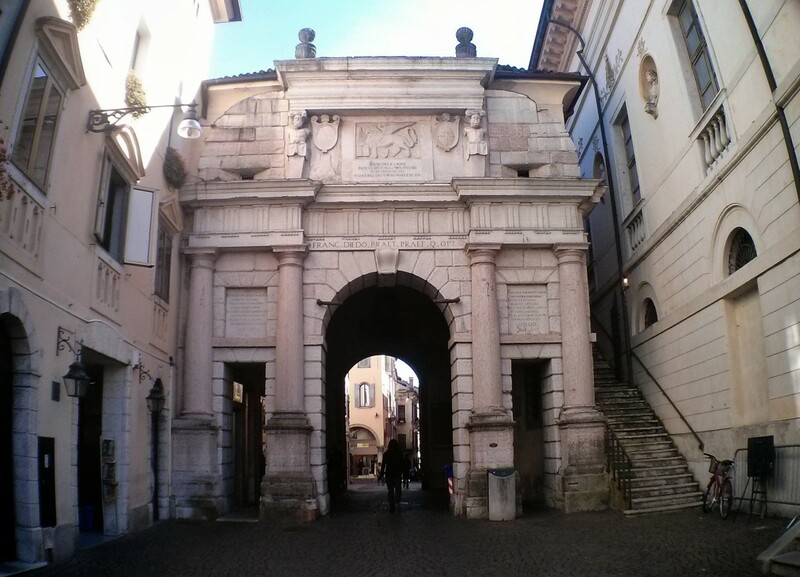 The internal arch was erected in 1289 by Vecello da Cusighe. The renaissance front door from 1553 is by Niccolò Tagliapietra, the roof was added in 1622. Also of note are the antique wooden shutters.